The Narmada dam control authority has granted permission to raise the height of the Sardar Sarovar dam by 17 metres. From 121 metres, it will now be raised to a height of 138 metres. Reacting to the decision, Narmada Bachao Andolan leader Medha Patkar said the decision was "undemocratic and amounted to injustice to the people living in the submergence area". "The ministry concerned should come together and assess the ground situation first," she added. Earlier this week, a delegation of tribals in Maharashtra, under the banner of the NBA, met Nandurbar collector P Pradip. They demanded that the long-pending issue of rehabilitating tribals affected by the project in Maharashtra be settled before raising the dam height. 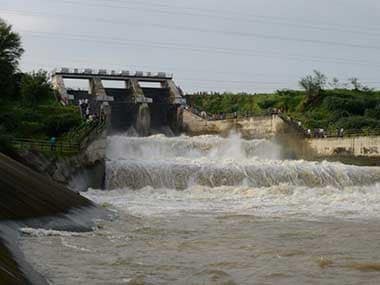 The NBA move followed reports suggesting that the Narmada Dam's height may be raised. According to reports, the delegation of tribals told Pradip they had heard of Anandiben Patel, Gujarat's new CM, making claims that the permission to raise the height of the dam would now be granted with Modi in the prime minister's chair. "The people in Narmada valley have shown courage to question this. We have presented data to establish the truth regarding displacement and environment. Now, we will be more cautious about the politics behind the vested interest," NBA activist Yogini Khanolkar had said. According to NBA, there are about 250,000 people residing in the Sardar Sarovar Project (SSP) submergence area in Maharashtra, Gujarat and Madhya Pradesh. The activists said tribal homes, markets, their agricultural and horticultural assets, places of worship, would all be submerged and that proper rehabilitation should be a prerogative. The NBA had contended that such a move, to raise the dam height without rehabilitating them, would violate a Supreme Court ruling and amount to contempt of court. "The question is whether Modi will act like chief minister of Gujarat or prime minister of India -- will he take steps to ensure no condition is flouted and no family that has not obtained rehabilitation benefits gets affected," asked NBA activist Medha Patkar. The NBA delegation informed the Nandurbar collector that in Maharashtra, a minimum of 1,000 tribal families are yet to be rehabilitated with land, houses, plots, irrigation and other amenities. The activists also demanded full-fledged health facilities and regular rations as well as a boat service in every village, because people have faced death or destruction without these since last year. "... while monsoon is at the doorstep, senior officials have promised they will ensure regular availability of doctors and medicines," said NBA's Noorji Vasawe while narrating incidents of snake bites and crocodile attacks, lack of jetties or water lifting schemes. The NBA reiterated that tribals will not accept monetary compensation in lieu of land as it does not benefit them and 51 tribals who opted for it felt cheated and are prepared to return the money, said another activist Manglya Pavara.